Top Five Kentucky Derby Trainers of All Time: The Kentucky Derby is not an easy race to win, and as such it is at the top of every trainer’s, owner’s, and jockey’s list of races they need to win to prove themselves. 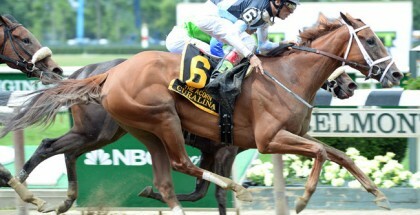 Winning just one Kentucky Derby is a feat, but what about winning multiple renewals of the race? Some trainers have stamped themselves as able to train not one but multiple Derby horses. Some trainers have even won the Triple Crown, a nearly impossible feat in today’s racing world. Being a multiple Kentucky Derby winning trainer is an honor. If not for them, the horses they campaigned may never have been as great as we know them to be today. 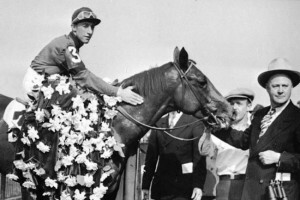 Horses like Whirlaway, Winning Colors, Real Quiet, Silver Charm, Gallant Fox, and Omaha, three of which are Triple Crown winners, may never have become household names in the racing community. These horses were all trained by one of the top five Kentucky Derby winning trainers. “Sunny” was inducted into the Hall of Fame in 1958 in honor of an extraordinary training career. During his career, he trained for the legendary Belair Stud, breeders and owners of not one but two Triple Crown winners in Gallant Fox (1930) and Omaha (1935). His training career was also marked by significant horses such a Bold Ruler, Hard Tack, and Seabiscuit (at the very beginning of his career). Fitzsimmons’ training career spanned from 1894-1963 and produced 2,275 wins. Fitzsimmons passed away in Miami in 1966 and is buried in Brooklyn. Total, Fitzsimmons had three Kentucky Derby winners in his career. Bob Baffert is highly active in today’s racing community. He began training Thoroughbreds in 1991 after beginning his training career as a Quarter Horse trainer. He broke onto the big stage in 1992 when he sent Thirty Slews to a win in the Breeders’ Cup Sprint (GI). Baffert is known for his four Triple Crown misses with Silver Charm, Real Quiet, War Emblem, and Point Given. All in all, Baffert has achieved three Kentucky Derby wins. D. Wayne Lukas is a living legend. He has the most Triple Crown race wins and currently has twenty Breeders’ Cup race wins. He has five Eclipse Awards, and his horses have won 25 Eclipse Awards. Before training Thoroughbreds, Lukas graduated from the University of Wisconsin-Madison with a masters in education, taught high school, coached basketball, and trained Quarter Horses (24 world champions). 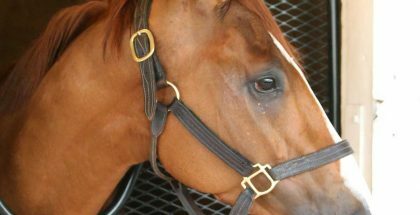 His career has brought him four Kentucky Derby wins from horses Winning Colors (1988), Thunder Gulch (1995), Grindstone (1996), and Charismatic (1999). 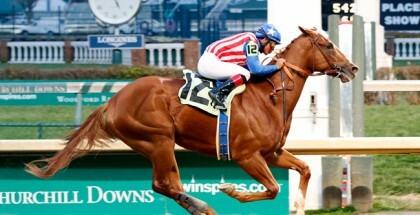 Thompson has four Kentucky Derby wins to his credit, all of which came for the Bradley Stable. Those four horses were Behave Yourself (1921), Bubbling Over (1926), Burgoo King (1932), and Broker’s Tip (1933). His most famous horse is likely Broker’s Tip who is known for the “Fighting Finish,” a photo that shows the jockeys of Broker’s Tip and Head Play pulling at each others’ saddles as they desperately vie for victory in the 1933 Kentucky Derby. Ben Jones is the only trainer to win the Kentucky Derby an unmatched six times. He had two Triple Crown winners as well, both owned by the historic Calumet Farm. Ben Jones was hired by Calumet in 1939 to take charge of its breeding and training operations. Under Jones, Calumet exploded. All but the first of Jones’s six wins were produced by Calumet horses. Jones trained winners Lawrin (1938), Whirlaway (1941, TC winner), Pensive (1944), Citation (1948, TC winner), Ponder (1949), and Hill Gail (1952). Ben Jones officially retired in 1953 and was inducted into the Racing Hall of Fame in 1958. Jones passed away in 1961. Trainers spend their entire careers attempting to win races like the Kentucky Derby. It is a feat in itself to get a horse into the race, but it is entirely another to get a horse home first in the big race. 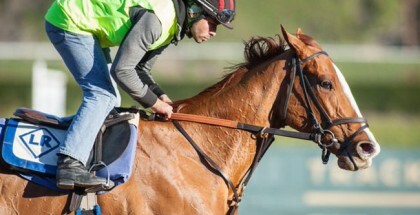 These top five trainers are all separate from ordinary trainers by the feats they accomplished by winning multiple editions of the sought-after Kentucky Derby. Among these are Bob Baffert and D. Wayne Lukas, each of whom are looking for another win this year. Baffert is the trainer of the current top two favorites for the race, Dortmund and American Pharoah. This year’s Kentucky Derby will be run May 2, 2015, in Louisville, Kentucky.